Don’t wait to discover why so many others have chosen to make Belmont Crossing the place they call home. Call today to schedule a private tour and start living easy in your new apartment home! Belmont Crossing Apartment Homes in Riverdale, GA offer a quiet and charming retreat with lush landscaping and numerous amenities. We are most proud of our reputation for delivering exceptional customer service and providing a true feeling of home to our residents. 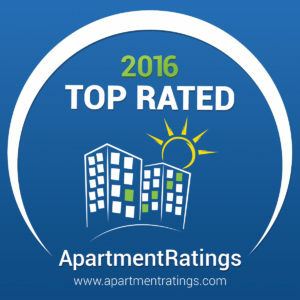 Belmont Crossing has been recognized as a 'Top Rated Apartment Community' two years in a row!